Certified Functional Strength Coach STAFF! Mike Boyle is the Godfather of sports performance training! A true pioneer in the field, Mike has pushed the envelope in human performance and injury prevention by always asking, "what can we do to be better?" Mike is the owner and operator of the world renowned Mike Boyle Strength & Conditioning, but his resume also includes working with endless Olympic, Pro and D1 College Athletes. Over the past 30 years, he has served as the Head Strength Coach of the Boston Bruins, Women's Olympic Hockey Team, Boston Red Sox, Boston University Hockey and still finds time to travel around the world teaching seminars to strength coaches and trainers. Boyle has always been openly skeptical about the validity of fitness certifications because most consist of only a written test, or weekend seminar. The lack of emphasis on program design, coaching strategies and ability to properly demonstrate skills correctly has lead to an onslaught of unqualified trainers putting people at risk. Recently, Mike decided to do something about it and develop his own certification that included practical skill and coaching components. Certified Functional Strength Coach (CFSC) has quickly become the gold standard for Strength and Conditioning coaches around the world due to it's comprehensive and practical approach. 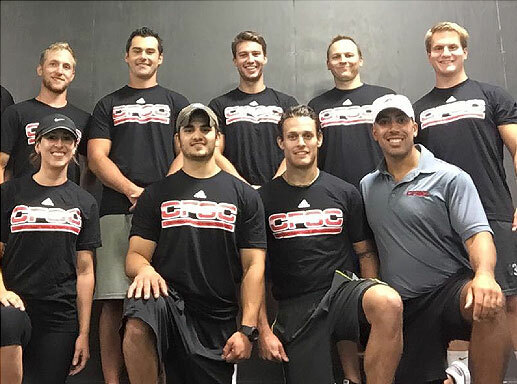 Boyle and his team of elite strength coaches have held CFSC courses all over the globe, including NYC, Boston, California and Europe. We quickly decided that we wanted our Next Level staff to attend a CFSC course together. Although we assumed it was a long shot, we applied to have the course at Next Level, which included a written application and video tour of our facility. It was a huge honor to find out that they accepted our application and decided to host a CFSC seminar at our facility on September 12th 2015! To say that this was the most valuable seminar, or certification that our staff has ever attended would be an enormous understatement! Although we were already following many of the same training philosophies and methods as Mike Boyle Strength and Conditioning, we are now able to adopt their proven systems that have been fine tuned by Mike Boyle himself over the past 30 years. We are beyond excited to belong to the exclusive fraternity of Certified Functional Strength Coaches to bring elite level training programs and coaching to all of our clients and teams!